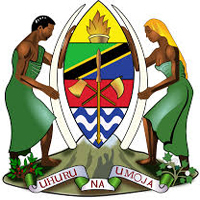 Dodoma Urban Water Supply and Sanitation Authority (DUWASA) was established under section 3(1) of Cap. 272 of 1997 as repealed by section 60 of Water Supply and Sanitation Act No. 12 of 2009. DUWASA is charged with the overall responsibility of operations and management of water supply and sanitation services in Dodoma urban within the Municipality. Holder of a Degree in Civil/Environmental Engineering/or equivalent qualifications who is registered with Engineers Registration Board of Tanzania as a professional engineer with at least three years experience in water network Engineering, designing, project supervision, Computer application skills and management skills. iii. Coordinates activities of technicians undertaking Planning, Design and Construction activities of the Authority. iv. Provides technical support to subordinates and exposes them to new technological developments in their fields. v. Conducts project appraisals and makes recommendations on project feasibility. vi. Conducts open performance review and appraisal of subordinates and gives feedback. vii. Develops individual performance objectives, targets and standards in consultation with the immediate superior as part of performance agreement. Not above 45 years of age. The posts carry attractive remunerations package subject to work professional qualifications and experience. NB: ONLY SHORTLISTED CANDIDATES WILL BE CONTACTED FOR INTERVIEW; AND THOSE WHO WILL NOT HEAR FROM US SHOULD CONSIDER THEMSELVES UNSUCCESFUL CANDIDATES. "Tanzanian Women are highly encouraged to apply"